Orwell lives « Hercules and the umpire. I adore Bette Midler. She is so talented. Intellectually, she is very bright. And, she is funny in a wonderfully theatrical way. Truly, she is the Divine Miss M.
Now, forgive the cognitive dissonance as I transition to George Orwell. At the end, I’ll get back to the Divine Miss M.
In my legal writing post, a commentator (Matt) and I discussed George Orwell’s 1946 essay “Politics and the English Language.” Orwell’s essay dealt with abuses of the language in a political (and by extension legal) context. I have not here been considering the literary use of language, but merely language as an instrument for expressing and not for concealing or preventing thought. Stuart Chase and others have come near to claiming that all abstract words are meaningless, and have used this as a pretext for advocating a kind of political quietism. Since you don’t know what Fascism is, how can you struggle against Fascism? One need not swallow such absurdities as this, but one ought to recognize that the present political chaos is connected with the decay of language, and that one can probably bring about some improvement by starting at the verbal end. If you simplify your English, you are freed from the worst follies of orthodoxy. You cannot speak any of the necessary dialects, and when you make a stupid remark its stupidity will be obvious, even to yourself. Political [legal] language — and with variations this is true of all political parties, from Conservatives to Anarchists — is designed to make lies sound truthful and murder respectable, and to give an appearance of solidity to pure wind. One cannot change this all in a moment, but one can at least change one’s own habits, and from time to time one can even, if one jeers loudly enough, send some worn-out and useless phrase — some jackboot, Achilles’ heel, hotbed, melting pot, acid test, veritable inferno, or other lump of verbal refuse — into the dustbin, where it belongs. I began thinking hard about Orwell’s essay after Matt reminded me of it. How frequently do I violate Orwell’s admonitions in my daily judge-job? As it turns out, I rely upon “verbal refuse” just about every day. Let me give you a prime example. When I sentence someone in a criminal case, I must resolve objections to the probation officer’s detailed investigative report. Then, I must grant or deny any motions. After that, I must calculate the applicable Guideline levels. Finally, the law requires that I make an oral statement giving the reasons for my sentence. It is at this point that I want the reader to recall what Orwell wrote. To reflect the seriousness of the offense, to promote respect for the law, to provide for just punishment and to afford deterrence, and further recognizing that the Guidelines are advisory, and considering all the statutory goals of sentencing, I impose the following sentence: [state sentence]. As part of my “song and dance,” I then make inquiry of the lawyers. “Do counsel have any questions about my judgment and sentence?” If so, I answer the questions. Then, and here is the trap, “Do counsel want any further elaboration of my statement of reasons?” If counsel do not request any further elaboration, the reasons for my decision are bullet proof on appeal for plain error purposes. If counsel do request some further elaboration, I give it to them in spades. Either way they’re screwed. As I think about it, I am probably doing what Orwell railed against. But, never fear, I have all sorts of reasons (rationalizations) why I will continue to do what I do. So, back to the Divine Miss M. I have my own Divine Miss M. She is my oldest daughter Marne. She is very bright, funny and wonderfully theatrical. For example, my Divine Miss M. has flamboyantly taken me to task for forgetting that Orwell’s 110th birthday was last Tuesday, June 25, 2013. She punctuated her point by emphasizing that the Dutch put little party hats on the CCTV cameras in Utrecht as an homage to Orwell. She chastised me for failing to rise to the occasion. 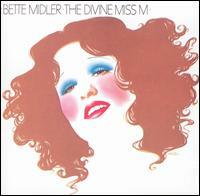 Image credit: This is the cover art for the album The Divine Miss M by the artist Bette Midler. The cover art copyright is believed to belong to the label, Atlantic Records, or the graphic artist(s). Fair use is claimed. Thanks for writing. Truly, I appreciate your engagement. No offense to your mother, but your story creeped me out. MY MOTHER USED TO DO THE SAME THING ON THE IDES OF MARCH. Of course, I don’t know anything about your mother. But mine was nuts. You could use the Pharaonic statement of your reasons. That would satisfy both the letter of the law and Orwell. But it probably wouldn’t actually play well in an American appellate courtroom, even though my parents both thought “Because I said so” to be perfectly adequate rationale. I am delighted my comment spurred further thought and discussion. I enjoy good writing. I very much agree with Orwell’s point that if the writing is simplified–my stupidity (or poor reasoning) will be clearer and easier to spot. A fundamental change, all in one moment, may seem impossible. It takes work. All good things do. “So it seems,” said Abner. “We just want you to do the impossible,” Judge Coates said. Bonus: Is The Just and Unjust one of the only books that depicts the practice of law accurately, and with clean prose? One could make a case for Bleak House, I suppose. You put me to shame, and that’s good. I should be thanking you, and so I will. Thank you for your engagement, wit and learning. Pingback: A question of bias « Hercules and the umpire. Pingback: More thanks to give « Hercules and the umpire.